click here to check out presentations specifically related to your role. As an owner, you drive the industry demand by promoting Lean projects and supporting designers and trade partners in their productivity, development and execution. 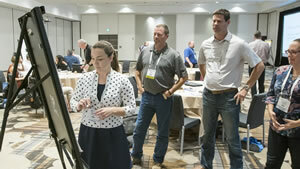 By attending LCI Congress, you will meet other successful owners who have embraced Lean design and construction and gain a broader insight from their perspectives on the process. Join peers from across the industry and gather ideas you can implement to take your next project to a new level of collaboration. 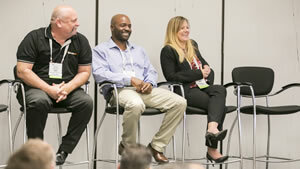 What do owners value at LCI Congress? See the scrolling list of owner companies represented at last year’s LCI Congress! Architects and designers can holistically transform the culture of the industry by being engaged throughout the entire project. At LCI Congress, you will hear other Lean in design practitioners enforce the message that Lean isn’t just about cross-cutting velocity – it‘s about enhancing projects and ensuring on-time delivery without compromising value to the owner. 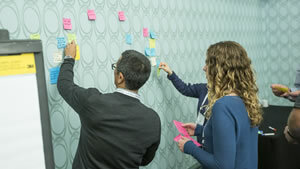 As a member of the design community, you will leave LCI Congress with the latest Lean and integrated project planning tools and techniques needed to achieve design excellence and guide your team with sound decision-making methods. 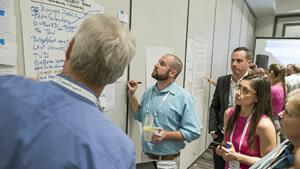 What do designers value at LCI Congress? See the scrolling list of architect, designers and engineering companies represented at last year’s LCI Congress! General contractors who cultivate a collaborative team culture with owners, designers and trade partners at the onset of the project experience more frequent on-time, on-budget delivery. At LCI Congress, you will hear honest, transparent stories of success and failures from other project team members to help you start or advance your Lean culture transformation. Bring back valuable takeaways you can apply in the field to eliminate waste, create reliable flow and improve safety. 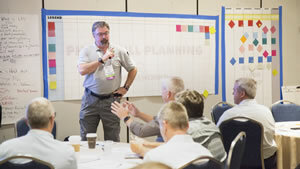 What do general contractors value at LCI Congress? 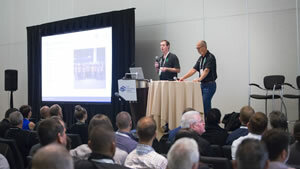 See the scrolling list of general contractor companies represented at last year’s LCI Congress! Trade partners and all Lean stakeholders play a key role in universally changing the culture of the industry. You have the power to encourage collaboration and place a priority on a Lean culture of continuous improvement within your project team or across your entire organization. Attending LCI Congress will equip you with realistic ideas and goals to apply in the field that will immediately promote safer, more efficient and more enjoyable work environments. See the scrolling list of trade partner companies represented at last year’s LCI Congress! As a Lean professional, you and your high-performing teams know that the more collaboration there is within the Lean community, the more effective each moving part can be. During LCI Congress, you will have the opportunity to collaborate with other professionals from all facets of the Lean design and construction community and expand your network, ensuring inspiration across the board. Learn from Lean thought-leaders and walk away with ideas you can begin implementing immediately. 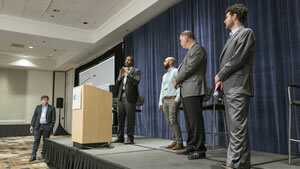 What do Lean Professionals value at LCI Congress? 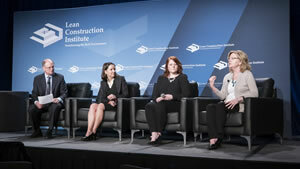 See the scrolling list of Lean professional companies represented at last year’s LCI Congress! Half-day (4-hour), one-day (8-hour) and two-day (16-hour) courses are available in various Lean topics and many will count as continuing education credits. The LCI Research Committee is offering three 90 minutes sessions on Tuesday to hear about and contribute to three of their initiatives. This LCI-funded research presents preliminary results seeking to extend the functions the Last Planner System is designed to support, plus improve the performance of current functions in these areas: project master planning, phase planning, learning from breakdowns, metrics development, and LPS in design. 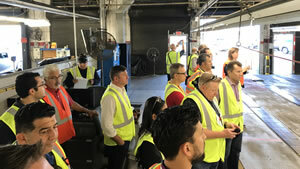 This LCI-funded research project is designed to help project teams define a consistent approach toward planning the integration of Lean principles into delivery processes. A structured process for Lean deployment planning. Lessons learned and implementation guide to project validation. Validation is a critical step in the early phase of a project. This research seeks to develop a practical implementation guide, along with sharing lessons learned from leading organizations that are practicing effective validation. You can select these sessions when you register for Congress. If you have already registered and would like to add one of these sessions, please email Julia Shellhouse jshellhouse@leanconstruction.org and she will add to your registration. Both mornings of the Congress core program will begin with breakfast, coffee and welcoming remarks from LCI Executive Director Dan Heinemeier and Kevin Labrecque, the 2018 Congress planning team chair. 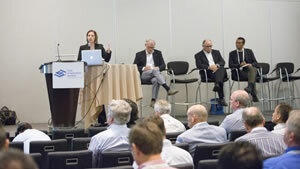 Keynote speakers will follow-up with Lean-related presentations that will engage the Congress crowd as a whole. 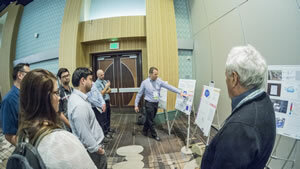 Next, attendees will head to the breakout session rooms where they will have the choice of panel presentations, individual presentations and Lean Labs, which are several rotating poster presentations. Each presentation is assigned to a track to help attendees meet their specific needs in Lean education. Lunch will be provided in the main ballroom, and afterwards, attendees will head back to the breakout rooms for more presentations. Thursday afternoon will be headlined by our closing keynote speaker, so make sure you stick around! In addition to the wide variety of Lean content and educational opportunities, several networking breaks are spread throughout the days to ensure you get the most value out of your time as possible. 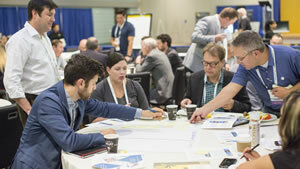 Networking with the Lean design and construction community is just as valuable as the LCI Congress curriculum. Attendees can look forward to the Welcome Reception with the exhibitors, Lean Coffees and more chances to discuss Lean journeys face-to-face. Take advantage of being in the same location as your industry peers who share the same passion for continuous improvement! Misael Beltran, Project Manager, Hermosillo y Asociados Arquitectos. S.C.
Several 30-minute networking breaks in the Exhibit Hall are built into the 2018 LCI Congress core program (Oct. 17-18) agenda to give attendees time to stretch their legs while building new connections and strengthening existing relationships. In addition to the breaks, an entire Thursday afternoon breakout session has been dedicated to a Coffee Hour in the Exhibit Hall to give attendees the chance to fill-up on caffeine and see the exhibitors showing off the industry’s top software, technology and more! Share your stories of challenging projects/processes/culture that your teams have encountered, what lean techniques you leveraged both successfully and unsuccessfully. We are looking for direct stories and examples of challenges people faced, their successes and lessons learned. How have you and your teams leveraged Lean techniques in the Planning & Design phases for your project(s)? Lean stories that were driven by trade contractors, site superintendents and other in-field staff (production, safety, quality, etc.). What is the business case for Lean implementation, how has Lean changed profitability or value creation (predictability, risk mitigation, employee retention, client service) at your project(s) or organization? What technology, new techniques and innovation (i.e. 4D/5F BIM, safety, modular construction, etc.) have you leveraged to enable or enhance Lean implementation on projects? LCI Congress is the event for you! Are you an architect, or other design professional? Are you the Executive Manager, or in a related role which requires you to regularly make important decisions that impact the future of your organization? Are you a general contractor, construction manager, estimator, field supervisor, or in another related profession? Crafts, etc. The Owner loves the project…until they move in! For other interest areas, see our schedule-to-date for more detailed program information. Sponsorships of various levels are available for the 2018 LCI Congress in Orlando, Fla.
For more information, please contact Ilene Goldberg at igoldberg@leanconstruction.org. Earn continuing education credits by signing up for courses available in various Learn topics. Lean project, program and enterprise transformation implementations/journeys within organizations focusing on Lean embedment in all of a firm’s operations. Leveraged Lean techniques in the planning and design phase. Lean stories that were driven by trade partners, site superintendents and other in-field staff (production, safety, quality, etc.). What advanced technology, new techniques and innovation (i.e. 4D/5F BIM, safety, modular construction, artificial intelligence, automation, etc.) have you leveraged to enable or enhance Lean implementation on projects? Acknowledging the ever-growing gap of talent in the industry, respecting the deep knowledge held within and how to transfer it efficiently, investing in our future, fostering team development, developing a system that consistently produces results (i.e. not “if we only had more A team players”). Lean experience transfer. Stories of project, program or company wide implementation of Kaizen, continuous improvements with a desire to hear as much about failures as successes and the lessons learned in both. Your chance to put what you’ve learned during the week into practice. You will have your choice of multiple off-site projects to visit and apply your knowledge. Meet peers across the industry and make connections from across the nation. Bringing value to all aspects of LCI Congress is a top priority. The exhibitors’ contributions are an essential way to add value to every opportunity. 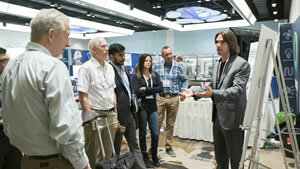 Owners, designers, trade partners and all project stakeholders visit the exhibit hall to stay current on the latest technologies and to find the best tool to lead their Lean journey. 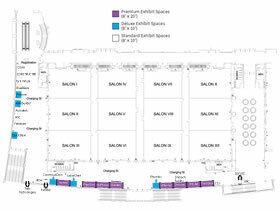 The LCI Congress exhibit hall continues to grow, so be sure to visit to find the best path forward! 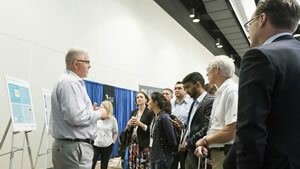 In addition to our industry-specific content centered around research, lessons learned and best practices, LCI Congress attendees enjoy numerous networking opportunities with your peers in the Lean community. Attendance continues to grow as LCI expands our educational resources to provide the content that attendees need most. Don’t miss out — be sure to join us in Orlando, Fla. from Oct. 15-19 for the 2018 LCI Congress, our 20th anniversary year! 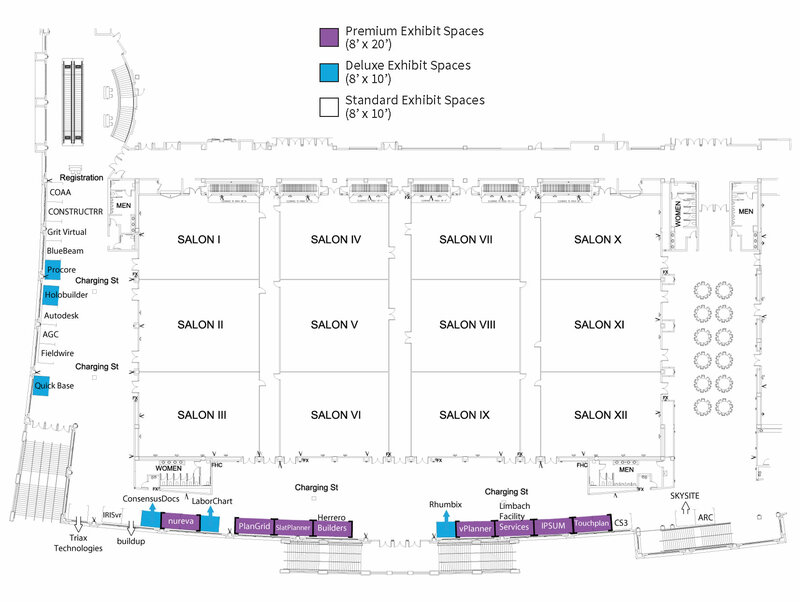 The official Congress room blocks at the Hilton Orlando Bonnet Creek, Waldorf Astoria Bonnet Creek, and Wyndham Grand Resort Bonnet Creek are now full. For your convenience, we have secured a resource to help you easily book rooms at options near the official Congress hotel. Please click the button to book your room for 2018 LCI Congress.